The history department offers a history major and minor. Explore the department's goals, requirements and expectations now. All history courses emphasize critical reading and thinking, persuasive analytical writing, and active classroom participation. 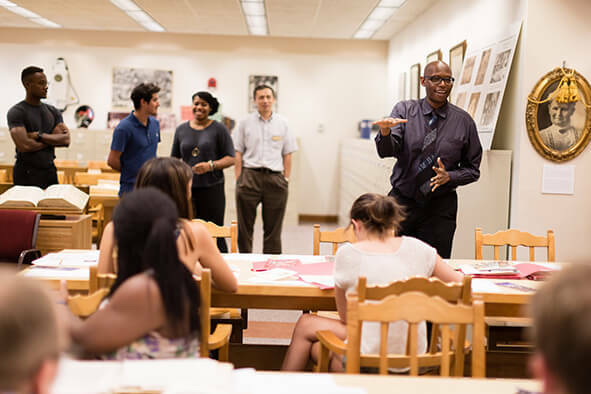 From 20th-century China to the history of American South and the Byzantine Empire, our faculty specialize in a diverse range of topics. To insure that all students majoring in history are exposed, if only briefly, to each of the areas in which courses are offered, the major requirements include one introductory (or survey) course in United States history, one in European history, and one in an area other than the United States or Western Europe. Students are further required to take one advanced-level course in each of those three areas; such courses may be topical in nature, thematically focused, and/or country-or time-specific. All history courses emphasize critical reading and thinking, persuasive analytical writing, and active classroom participation. The department has established uniform goals and requirements for different course levels so that students might know our expectations. Several additional elements of the major should be noted. 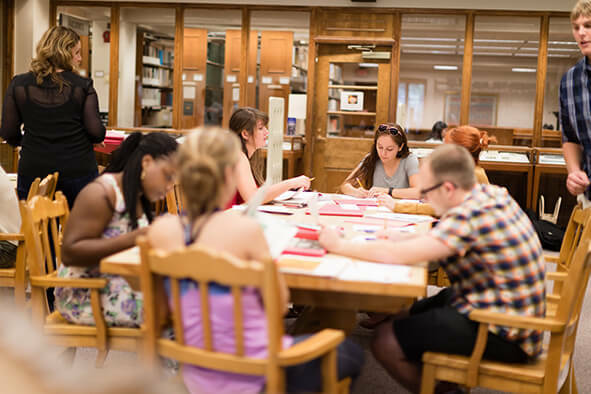 (I) The research component: Offered each spring term, one advanced level course includes a research paper based significantly on primary sources. (2) The portfolio: Each student compiles a portfolio of work in the major (critical essays, research papers, essay exams) and uses the portfolio to review her/his course of study within the major (3) The Senior Capstone Course: The portfolio is used to construct a self-reflective academic autobiography in this final course in the major.